As far as transitions go, adidas has done a steller job with everything to date since introducing a completely new market line-up. 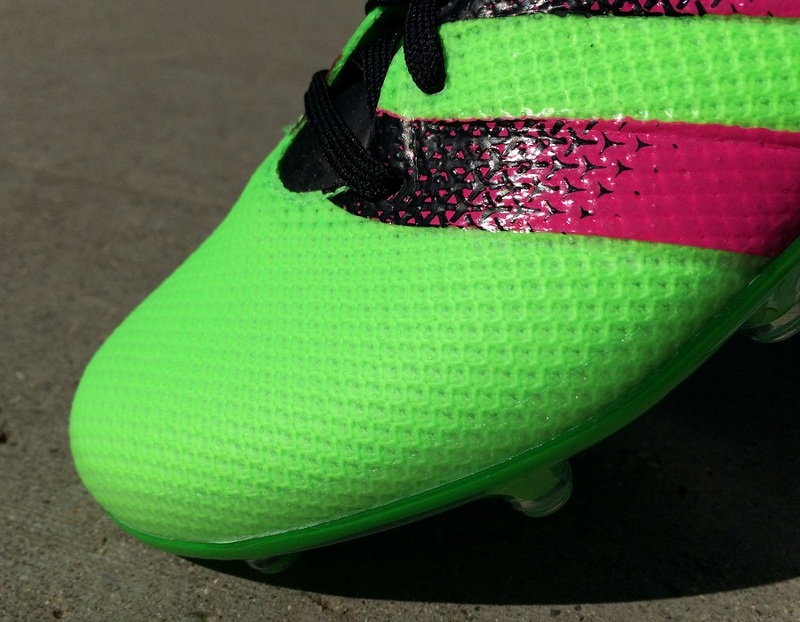 One of the boots in the series that has really excelled is PRIMEKNIT, available in both the Ace and X category. Its performance ranks among the best boots on the market right now, so we figured it was time to test out the next level down in the series, Ace 16.2 PRIMEMESH. As you’d imagine, the success of the top-tier has added a little extra pressure on this release, with expectations high. It couldn’t possibly go wrong, could it? After several weeks in testing and some game time, here is how the mid-tier mesh boot check out. Latest colorways available at soccer.com. Visually, there are definitely some similarities between these and the top-tier Primeknit. Most obvious is the collar lining. But, the overall shape of the boot seems very different when you hold them side by side, and they also seem slightly heavy. Expectations are high for this one! 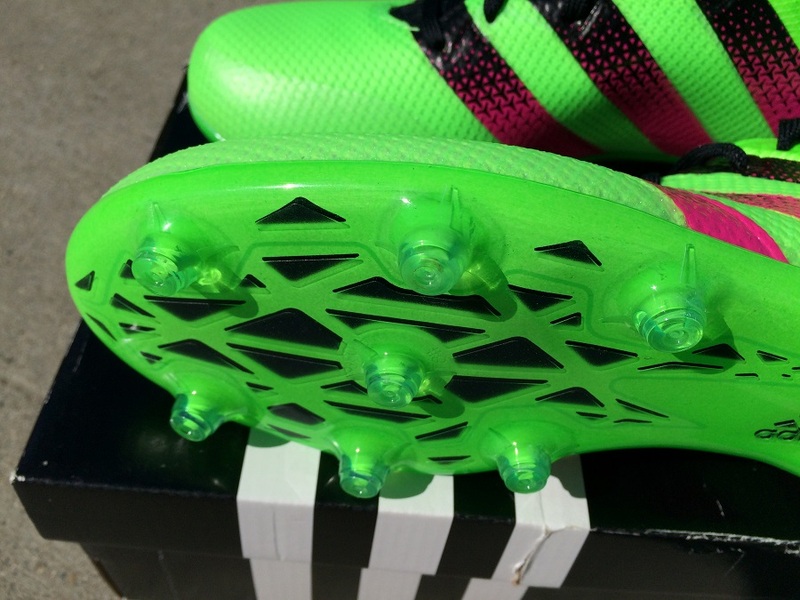 In current adidas fashion, a TechFit collar is included on the boot to create a secure fit around the ankle. In terms of feel, the material is very soft with an elastic style stretch. It creates a locked in feel without being too restrictive, with the material also running into the boot and around the mid foot hugging your arch and down under the footbed. This is an area that some players will enjoy, ensuring you are held in check with the construction of the boot. In contrast, the soleplate and upper material are stiff and rigid. That makes things a little tougher. 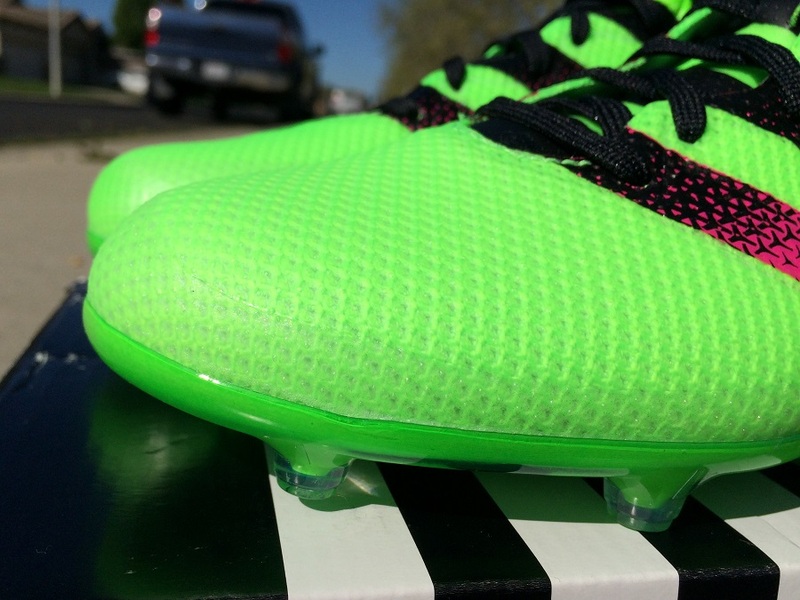 Out of the box, you will immediately notice a HUGE difference between these and the design of Primeknit. To the touch, Primeknit is soft and pliable but the material in Primemesh is more rigid and the box toe is shaped a lot rounder. When you put them on, it means that you get a more generously spacious fit right around the toes. Personally, I don’t consider that to be a positive as the gap reduces any natural feel you’d normally get on the ball. Through several wears, this never broke down of became more pliable, making for a tough break in. What made things even more challenging was the soleplate, which is very stiff out of the box. In order to test these, I had to wear them several times at 15 minute intervals. I found my feet cramping as I worked on loosening them up. It takes time! Eventually, they provided more natural flex and I was able to get them into games. If you hold them in hand, it seems like there is an uneven level of weight distribution, with most of it in the soleplate. I’m not sure what the thinking is here. Having a positive experience with a boot through the break-in period is vitally important. It sets the tone and gives you something to build off as you play games in them. Sadly, my experience here was not at all good. There is no direct tech specs on Primemesh available from adidas, so these notes are coming off my experience with the material and what I think it is. Following along the naming convention and the fact Primeknit is made of a knit material, Primemesh is made of a mesh. The definition of mesh is a “material made of a network of wire or thread.” The material here is definitely not wire, but it does feel like a thread. To the touch, I’d compare it as being like a plastic mesh or a more solidified knit. This description could be more related to the top layer of coating added to hold the structure of the boot together. But given the rigid feel of the upper, it is the best way I can describe it. As I go through this review, it is getting tougher to find positive areas to report about the boot. In terms of touch, control and shooting, the upper material plays against what everyday players need or expect. Think of it this way; we as players need boots that are shaped like a business mans shoe, as they angle down gradually toward the toe, creating a uniform fit across the upper. What you don’t need is a workman’s steel-toe boot that has a straight fit above the forefoot with rounded shape above the toe. These are more like the latter. When you get on the ball, the result is less feel and control, there is nothing natural about the connection between ball and foot. As negative as this all seems, for some players it might be what you are looking for. With that rigid feel comes added ease in striking the ball. 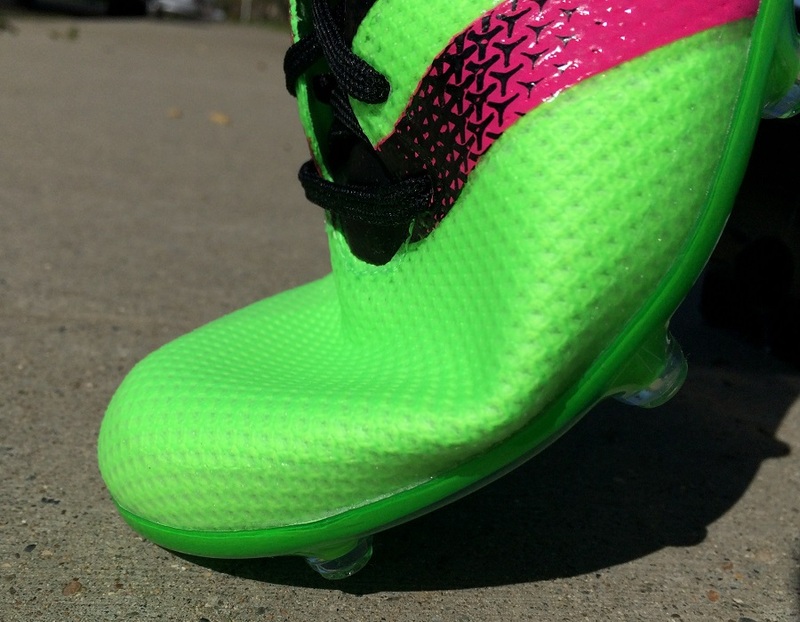 The material definitely soaks in impact, meaning you can really drive your foot through the ball without having to worry to much about strike force against your foot. I spent some time striking solid stationary shots in these, and it felt nice just to be able to pound multiple shots on target without feeling everyone across my forefoot. But from a personal perspective, I value feel on the ball so you can control your shot direction, so as much fun as it was taking rapid fire shots, it is not something that proves useful in games. I’ve talked about the feel of the soleplate through the break-in section, with a more rigid feel starting out. But how are they to wear from a traction perspective? 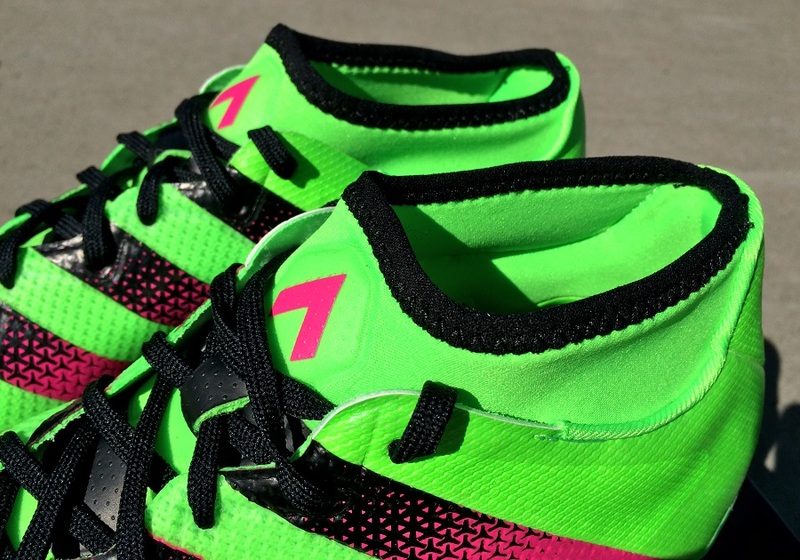 I had the opportunity to wear them on both FG and AG, starting out on FG for the first few wears. The stud configuration consists of 7 conical studs through the forefoot and 4 in the heel, all intended to even out pressure distribution. In that respect, it works extremely well. There were no pressure points through wear, and more importantly I felt extremely grounded while I wore them. This was particularly evident on FG, with some pitches I played on proving to be a little more uneven. The configuration coupled with a flat soleplate bed ensured I felt fixed to the ground, with no wobble through different ankle motions. These are definitely a more spacious boot that others currently on the market. The fact that the material is rigid and sits higher off the top of the forefoot will suit players that don’t like a snug fit, or something that is tight from first wear. I also found they were ever so slightly long compared to other adidas boots, but in general I’d have to recommend them as a true-to-size option. Through wear, I didn’t get much stretch out of the material, so I’d also put them in the medium-wide category as opposed to wide, so I don’t see these as a boot that van be added to the limited wide fitting category. 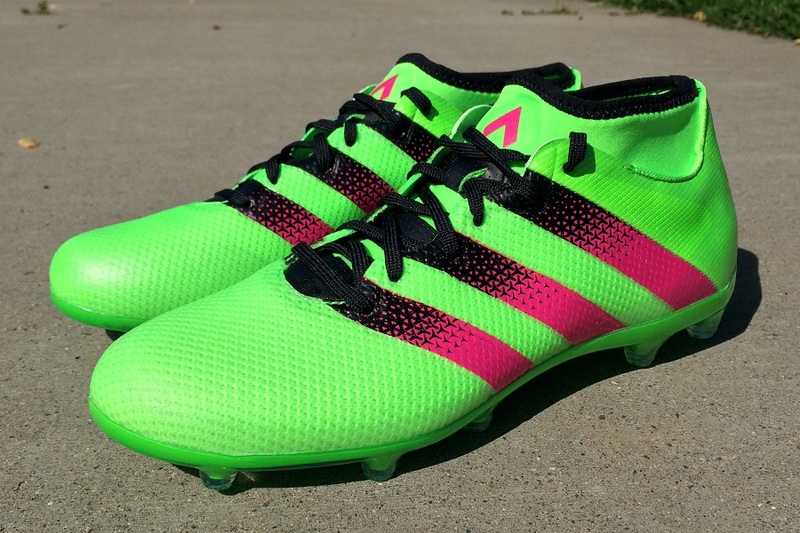 Up to the release of X and ACE, adidas really didn’t have a very competitive mid-tier boot to offer the market. It always seemed like mid-tier releases were a side thought, simply placed on the market by adidas to satisfy a needed category. When they released X15.2, that all seemed to change – they are a quality boot, definitely worth checking out. 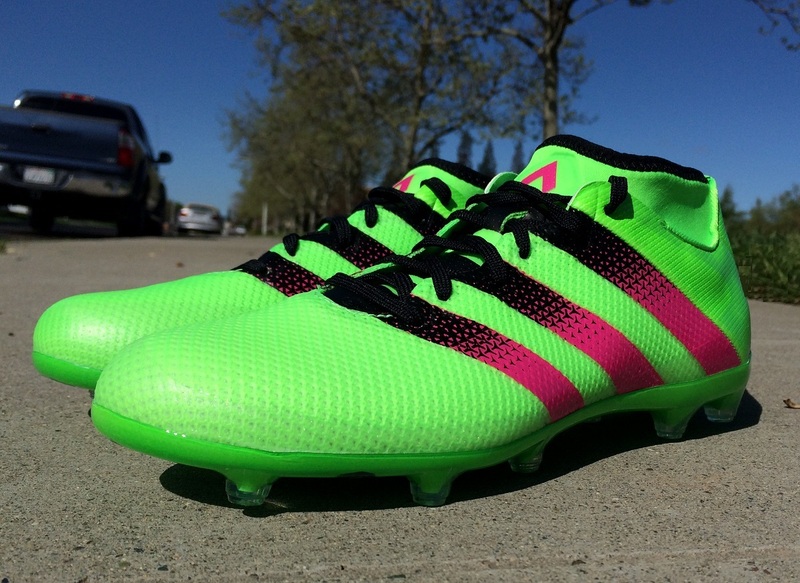 Were adidas taking a new approach? If these are any indicator, apparently not. This is a pretty poor release from an everyday player performance perspective. The upper is very rigid and stiff, nothing like Primeknit and they have the feel/weight of a square block. If I seem harsh here, it is simply because I have much higher expectations for adidas as a brand and what they produce. The mid-tier category is a very important section of the market, these are the boots that most of you will rely on. Put them side by side with an Nike mid-tier release or X15.2 and you will be blown away with the difference between them! If you’ve worn these and have had a positive experience, I want to know about it in the comments below. You can find all the latest colorways available at soccer.com. Highlight: A secure fitting boot that uses a TechFit collar to lock your foot in place, also feels very grounded with quality traction on both FG and AG surfaces. Would I Buy Them: This is one to skip! Player Position: They are versatile in terms of position. Instead, I’d focus them toward players that want a more spacious fit across the forefoot and enjoy something for striking solid shots in. The fit of the boot is snug and the feel and touch for the ball is pretty good, if you can afford the 16.1 primeknits boots though, i would reccomend getting those. 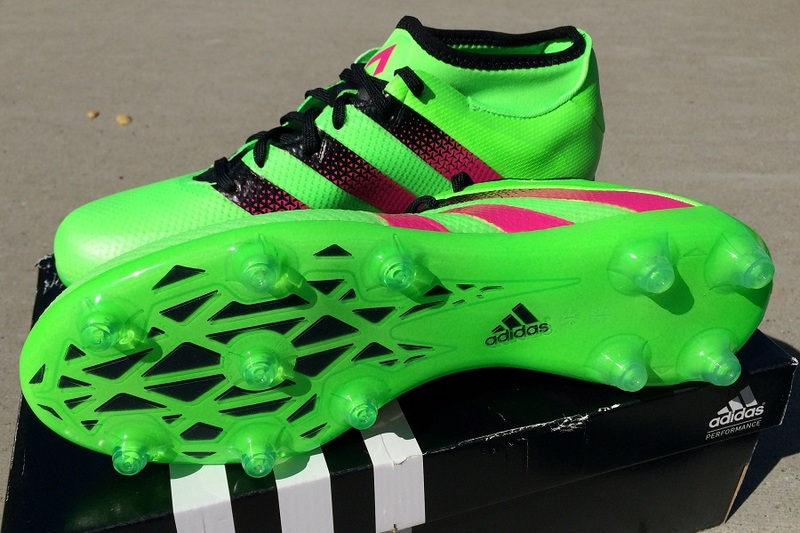 overall, a great boot from adidas. i had these version for a session 2hours on ag ground. normaly i wear fr 46 in these i just needed 45 1/3 and had space in the toe box area that was not that comfy. padding was axcellent but the pure and direct feeling fpr dribbling was poor. furthermore the studs are not that solid , i lost some materialbecause ag was not wet enough, primemesh coating got lost a bit, too. 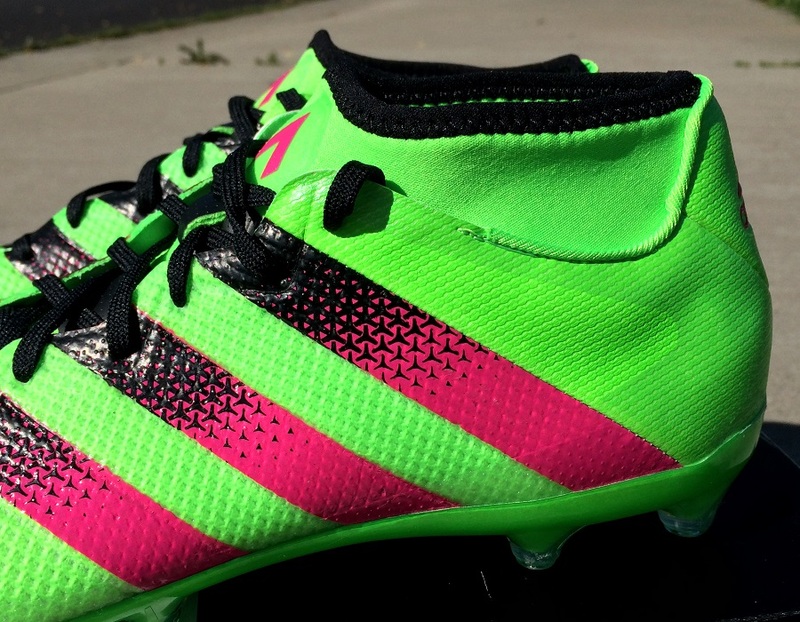 They would be ideal for Rugby, where you don't have to rely on touch so much!